Polymetallocenes. Not Metallocene Polymers, but Polymetallocenes. I written in the past about metallocenes (both here and elsewhere), but always in the context of their use as a polymerization catalyst. By judicious choice of the ringed ligands, access to the active, central-core metal can be strictly limited. The result is greater control over the reaction kinetics, stereochemistry, branching, etc. Being catalysts, these materials are present in the reactor in very small amounts and very little of it leaves with the final product. These polymers are hardly new having been first discovered over 10 years ago. They are mostly a laboratory curiosity, although a very curious one at that. The latest research has found that unsymmetrically substituted AND atactic polymers are somehow semicrystalline. Plenty curious indeed. Polymers being atactic and semicrystalline at the same time is not a totally new discovery either. Polyvinyl alcohol for instance, is known to be atactic and semicrystalline. The pendant -OH groups are not large enough to disrupt the crystal, so it doesn't matter where they occur along the backbone. I expect that a similar phenomenon is occurring here. The researchers don't work out all the details of the crystal cell, but given that you have sharp peaks in both the the WAXS and DSC scans, as well as typical spherultic structures under crossed polars, I'm convinced the crystallinity is present. All is all, these are fun polymers with some unexpected results. I'm sure the student doing the work had a fun time. When you think of polylactic acid (PLA), you think of NatureWorks. They've been able to take sugar (from corn or cane or what ever) and using a fermentation process, produce lactic acid. The acid is then dimerized into the lactide which is then polymerized. That process is pretty straightforward as far as a mass balance is concerned. The sugar is a carbohydrate, C6H12O6, and the lactic acid is half of this, C3H6O3. So now NatureWorks has announced that the are co-developing a process to make lactic acid from methane. That's quite a change. 3 CH4 + 3 O2 --> C3H6O3 + 3 H2O. That's also a lot of produced water that has to be dealt with. And so much for making the PLA from bio-based feedstocks. I can see wanting to cash in on the cheap methane like many other plastic suppliers are, but also I imagine the marketing and PR people will be putting in lots of long hours trying to figure out how to greenwash this plastic. Further, it's not as if PLA is competing with any of the polyethylene that will mostly be the big winner from frack gas. 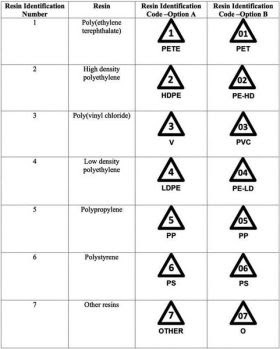 PLA is most often competing against polyester (PET), and to a lesser extent polyproplyene (PP). All the way around, I find this a very strange move by Natureworks. Or am I missing something? [*] This same presence/lack of C-14 is what led the Tour de France to strip the title from an American winner. No, not Lance Armstrong, but Floyd Landis. Landis was found to have an unusually high level of testosterone is his urine, and more importantly, that testosterone was lacking in the necessary amount of C-14, meaning that it was synthetic. Busted! "I wasn't able to divide the data into time intervals, as it was already quite statistics-limited. Also, the space radiation environment is not that bad, giving something well under 1 milliGy/day, so even over 2 years the plastic has probably integrated something less than 1 Gy from GCRs. Solar particles will have added to that, but the sun has been pretty quiet." 1 Gy of radiation is not a whole lot compared to the 25 kGy that is typically used to sterilize medical devices, but at the same time, it is enough to cause some damage. I need to do some more digging. Radiation damage of different plastics has been studied over the past decades and the results have been tabulated, so it is not necessary to hit the lab just yet. Off to the Library! I'll report back on what I find. As predicted last week, Retraction Watch has now posted a third retraction notice from the Journal of Applied Polymer Science, and even found a 4th one! One of the retracted papers was about masterbatches. The authors of the Retraction Watch blog have bio/life sciences backgrounds, so they probably are unfamiliar with the term masterbatch, not only because they are seldom if ever used in that field, but also because they a) made a joke about the term using it's similarity to a word describing a self-satisfying activity, and b) linked to the Wikipedia article on masterbatchs, which is a horrible article incapable of leading to any understanding about the subject whatsoever. So let me speak a little about masterbatches. Simply put, a masterbatch is a polymer with an unusually high level of additive(s) in it, such as pigments or antioxidants. It is designed to be added to another polymer (usually of the same base material, i.e., a polypropylene masterbatch will be added to a polypropylene polymer) at a ratio that lowers the additives to the final, desired concentration. The addition is done in continuous or semi-continuous process equipment such as extruders or injection molders. Masterbatches can be up to around 40 wt% of the additive, while the final product may have only 1 wt% of the additive. Masterbatches are used for a variety of reasons. Adding a single masterbatch to a polymer requires much less equipment ($), manpower ($) and maintenance ($) than would be needed for adding multiple components individually. Masterbatches are also easier to blend into the base polymer than just the additives would be since much of the initial distributing and dispersing has already been completed. This can mean less thermomechanical degradation of the base polymer since the screws in the equipment can be designed for less intensive mixing. And some sites just don't want to deal with the mess of additives. Such is often the case with carbon black. If you've never dealt with carbon black, then let me assure you from personal experience that it gets everywhere, no matter what controls you take. You would be best off just painting everything in sight black, (mcuh like bakers wear white to hide the flour on their clothing). If you are trying to make a black plastic for a medical device, the FDA inspectors won't be happy about your housekeeping, so you would be strongly advised to use a black masterbatch and let someone else deal with the mess. I'm not sure that in the remainder of my life that I will see any manned spaceflights leave Earth orbit, but more and more discussion is occurring over this, whether it is Obama wanting NASA to land on an asteroid or the 1-way suicide mission to Mars that 500,000 people have already volunteered for. While there are many concerns with such missions, one of the biggest challenges is radiation protection. Not solar radiation, but galactic radiation. The latter is made up of high energy particles that pose a great risk to carbon-based life forms. I've always figured that metal would be used for protection against this. Metals have a high density, not just at the bulk level, but at the atomic level. We all know that atoms have as much empty space in them as, well, outer space, so the closer together you can pack the atoms, the tighter the mesh you have for absorbing/scattering/reflecting the radiation photons. Silly me. A new report in Space Weather  ( ($) or here is a free review article) shows that plastic might be the preferred option. The plastic has to be pretty thick, but it's lightness seems to be a strong consideration for its use. Let me explain the research in some more detail. The researchers put a set of detectors on the Lunar Reconnaissance Orbiter (LRO) and shielded some of them with "A-150 Tissue-Equivalent Plastic", something that I've never heard of. 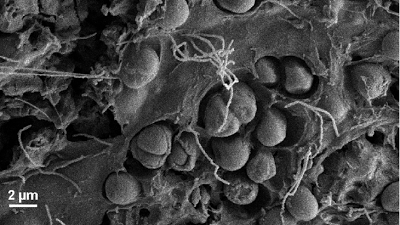 It was apparently developed to mimic human tissue and is this odd mixture of "45.14% polyethylene, 35.22% polyamide (du Pont nylon Zytel 69), 16.06% carbon black and 3.58% calcium fluoride by weight..." The shielding was 81 mm, just over 3 inches thick. The amount of shielding varied with the energy of the radiation levels, but overall reductions (from Table 1 in the report) were about between 84 and 97%! Not bad for some cheap, light-weight plastic. These measurements were made over a 2-year period, and that raises my one concern that was not addressed in this report - how the shielding changed over time. The radiation would alter the makeup of the plastic, crosslinking and scissioning the backbones with wild abandon . This would undoubtedly alter the shielding performance over time. Since this experiment was on the LRO, the plastic is not going to be recovered for examination. Too bad. I would love to see what type of material was left. Probably lots of powder, but also some Swiss-Cheesed matrix that is a tough as an aerogel - meaning that you handle it much more kindly than you handle a newborn baby's fingers. This doesn't mean that we are going to start building plastic spaceships anytime soon , as the metal is still needed for impact strength with space rocks and other debris, but it does mean that there should be a thick layer of plastic between the hull and the living space. And since polyethylene, nylon and carbon black can all be biosourced (for a premium price) we can have a sustainable shielding layer as we go rocketing around the solar system (propelled by non-sustainable fuels in a non-sustainable hull). "Space Weather" How cool is that, that you get to read about polymers in that journal? Know any chemists reading "Space Weather"? ALL radiation creates both crosslinks and scissions. For any given plastic, one mode dominates (for HDPE, it is crosslinking, while for PP it is scissioning) but both reactions are occurring regardless. Banning plastics, but only in landfills - Recycling wins! Plastic waste? It's valuable and we want it. Which state is going to be next with this forward thinking? What a great bit of news to end the week with. I regularly scan the Retraction Watch blog for the latest news in retractions, but most of the retractions are in the bio- and life sciences. It leaves me the impression that those fields are much more competitive than polymer science and rheology are, since people are willing to risk career-ending embarrassment to get a paper published. But the blog is now reporting that two articles in the polymer science arena have been retracted. Both were in the Journal of Applied Polymer Science". One of the notices (the second one in the blog's entry) is straightforward, but the first discussed notice is a little bit strange. It mentions an article entitled "Microencapsulation of intumescent ﬂame-retardant agent and application to epoxy resins" by Ming Gao, Yaqi Wo, and Weihong Wu, but the link given in the notice is to an entirely different article by entirely different authors: "Mechanical and thermal properties enhancement of polycarbonate nanocomposites prepared by melt compounding", by Sanjay K. Nayak*, Smita Mohanty, and Sushanta K. Samal. Does this mean that we are to anticipate a full retraction notice about this article as well, making for a total of three retractions? In a perverted way, this is almost a badge of honor, since it shows that we too can be competitive and are not just a bunch of quiet lab rats. Keep it up guys and gals, we need the notoriety. The Future of Sustainable Polymers: Bio-based Monomers or Polymers? Macro Letters has a new article entitled: "Sustainable Polymers: Opportunities for the Next Decade". As this was in Letters, the review is brief. A major focus is on water degradable polyacetals, polycarbonates and polyoxalates that are derived from lignins, and also on formaldehyde based polymers, which the author calls "the new polyethylene". I find all of this chemistry quite interesting as it is rather remote from what I learned in school (and in my career thus far). These polymers will have new properties that aren't readily available to standard commercial polymers, and even though some have claimed to have invented the "perfect polymer", we are not there yet (or anywhere close). These new polymers have plenty of exciting opportunities ahead. I understand the CTO's point completely. If you have a biosourced monomer, it is rather trivial to keep producing the same polymers that you always have. The molecular weight, molecular weight distribution, crystallinity, branching, endgroups, crosslinking and a slew of other characteristics that have a tremendous impact on the processability of the polymer will all be the same. That is no small feat. On the other hand, introducing a new polymer to the world is a long and challenging task. Many companies, even those with tremendously deep pockets, are not up to the task. Dow has pulled the plug on many a polymer, while GE has showed a little more patience, but the 15 years that it took Ultem to break even is getting close to the economic cycles of pharmaceuticals. Few chemical companies want to play that game. It is simply the economic realities, and sadly, this academic's viewpoint is unaware of it. It's too bad that such naive opinions were at the conclusion of this article, as it put a bad tail on what would have otherwise been a very good article. It's been a couple of years since I last mentioned the all-plastic bridges being build by Axion Corporation, but they are in the news again for putting up their longest bridge yet. Keep in mind that the US military was the first entity to use these bridges and they drive 70-ton tanks over them, so their strength is really not a concern. Oh, did I mention that that these bridges are made entirely from recycled plastic? You know, that cheap, shoddy stuff that many environmentalist organizations like to say is "downcycled"? (1, 2, 3, and 4) As long as bridges are made from both recycled and virgin plastics, it can't be called downcycling. Instead, it's making used of waste that would otherwise be landfilled or incinerated. "Nature" Magazine has an Axe to Grind with "Plastic Wood"
Nature takes a couple of misguided swings at plastic decking materials in their latest issue with an article entitled " 'Plastic wood' is no green guarantee". The initial context of the article is that much of Coney Island's Boardwalk is being rebuilt with "plastic wood". What the author fails to realize in his write-up is that there are actually 2 separate types of decking materials made from plastic. 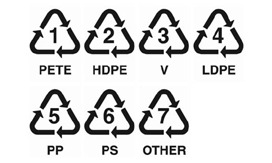 One is made of just plastic, typically recycled plastic, and is most often called "polylumber". The other material is made of plastic (which may or may not be recycled) AND wood flour (sawdust) or other biobased materials. This material is called a "wood-polymer composite", since it is a composite material. (In a composite material, the additive - wood flour - reinforces the plastic. Compare this to a filled material where the additive (such as calcium carbonate or talc) weakens the material.) Unfortunately, the author refers to the materials in the article as "plastic wood", a term that really isn't used in the industry and hardly even by the general public. But my issues with this article are about far more than petty nomenclature, as the two materials have significantly different chemical/mechanical properties. Since one of these materials has a biobased component, it can be a food source for some flora and fauna of the natural world. The other one can't. So for the author to make a blanket, undifferentiated statement degrading "plastic lumber" because labs can have "mushrooms growing on the boards" is to not recognize this difference. The broad brushstroke hits both materials, one in an entirely unfair manner. But even for the composite materials, many products are treated to prevent such growth, meaning the validity of the statement can be argued regardless of which product it is applied to. It is far below scientific standards to cite second-hand evidence of lab results in one lab as evidence of any broader trend but that is what happened here. And then there is this howler of a statement: "But the evidence for plastic timber’s durability is thin, in part because the industry arose only about two decades ago..." Yep, 20 years of real world data is what I would call thin evidence, wouldn't you? Gosh, I need 50 years of data, no wait! 100 years! of data before I am willing to accept it. Worse, this statement completely overlooks the existence of accelerated aging as a method of testing and prediction. [*] I have helped more than one company with accelerated aging of wood-polymer composites during my career and I've seen the value of the testing. It works and does make an impact on predicting product lifetime. By the end of the article, the author also has made a mess of the idea of tropical woods as being "sustainable" too, so I'm not even really sure what the point of the article was. I realize that this was not a peer-reviewed article and was designed for non-specialist readership. However, I would argue that the standards for accuracy should still be high since general readers are less likely to read the article critically. Unless they have been in the market for decking recently, they are unlikely to know that two types of polymer-based decking exist as alternatives to wood and that they are not the same. Would it really have been so hard for this article to clarify that concept? [*] Long time readers will know I am a very vocal critic of accelerated aging WHEN IT IS IMPROPERLY CARRIED OUT. Done with proper diligence, it is a wonderful tool for predicting product lifetime. But anyone who thinks that they can just throw some samples into a weathering chamber and cranks up the power should stick their own head in there too. Of all the chemicals in all the towns in all the world [*], the chemical that is probably most despised at the moment is CO2, the notorious greenhouse gas. And since plastics are also widely despised, more than one researcher has had the idea of making plastics from CO2. While this is a clever idea in principal, in practice there are considerable problems. CO2 levels in the atmosphere are around 400 ppm (= 0.4 parts per thousand = 0.04%), so the idea of pulling it straight from the atmosphere is a lost battle before you ever start. The more viable options are to use the CO2 generated at an industrial facility of some sort. Novomer announced late last week that they have found a way to convert the waste CO2 from an ammonia plant into polypropylene carbonate diols. Diols are a common reactant with isocyanates to make polyurethanes. But the scale of this operation is more than a little bit underwhelming. They only made 7 tons of product. 7 tons! A measly 14,000 lbs. That amount is so small that no one, and I mean no one, is going to be interested. The 13 Gaylords that that material occupy will fit in my garage at home. Any injection molding process would run through that material in a day. This is equivalent to a chemist synthesizing compounds on a microgram scale start-to-finish. I'm sure Novomer realizes this as does anyone else in the polymer processing industry, but when a PR blurb like that is picked up and published by Chemistry World, the general public is unaware of that limitation. Iit sure doesn't help anyone when this material is then never commercialized on a scale to have a significant impact on CO2 emissions. I'm all in favor of this type of research, but the results should be trumpeted when commercialization scale is reached, not sub-pilot plant scale. [*]"Casablanca" is my favorite movie of all time. In what I hope will be the final post I write about the failed Dow-Kuwait joint venture, Plastemart is reporting that the Kuwaiti cabinet has suspended several executives associated with the failed deal that ended up costing the state run Petrochemicals Industries Company a whopping $2.2 billion. Even with oil at $100/bbl, that is still too large of a sum for anyone to ignore. Hopefully the economic loss will not end up directly hurting employees at lower levels of employment as they had little to contribute to the failure , but that seldom seems to be the case. Someone is going to try and minimize or recoup the losses and that will likely be borne on the backs of the innocent. Sadly. Using the word "plastic" as an adjective is generally not desirable, at least as far as the general public is concerned. Items made from plastic are generally considered not as desirable as those made from other materials; the movie "Mean Girls" had "the Plastics" - a small clique of girls that are not portrayed as anybody desirable, as is "plastic" surgery. Having spent well over 2 decades working with plastics, I'm well aware of the general demeaning sentiments associated with my career choice. "...dirty northern bastards, sheep-shaggers, rent boys, pikeys, nonces [and] inbreds,"
"[a] plastic fan [as] one whose allegiance to a team is not determined by geography or family ties. He or she is a glory hunter." Maybe the term is actually not a bad choice. 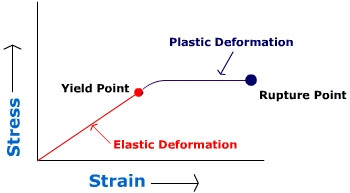 The origin of the word describes the part of a stress-strain curve where elasticity has been lost and permanent deformation is occurring. (Unlike traditional materials of metals, ceramics and glass, most polymers do have a plastic deformation feature and so came to be associated with the term as an alternate name.) The end result is that the plastic can cover quite a bit more geography than it originally did. Polypropylene for instance, can routinely be stretched to 50x it's original size. So if a fan is jumping geography to support a team, it isn't too much of a stretch [grin] to describe them as plastic. While being called a "plastic fan" may hurt, to me the worst insult to any soccer fan is to be called a soccer fan. [*] And yes, I am calling it "soccer", not football. The journal "Soccer and Society" is published by Taylor and Francis, a British company. If they can call it soccer, the rest of us should too.